The D’Angelo team searches the globe for the most beautiful quality wedding dresses at the best possible prices. We handpick lines not based on name on the tag alone but by the integrity of the designs themselves. 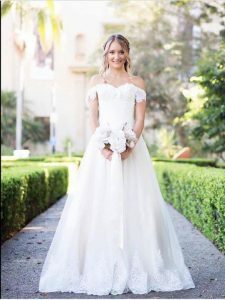 Diane herself produces gorgeous and unique gowns. 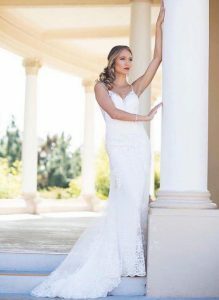 These stunning private bridal collections cannot be found anywhere else in San Diego. 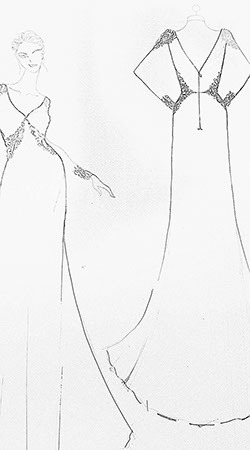 Diane D’Angelo designs every dress, not just on a mannequin or a piece of paper, but sitting next to her brides in her store working through rough spots before the designs ever hit production. Her gowns speak to the modern bride through a level of comfort and fit unmatched in the bridal industry. 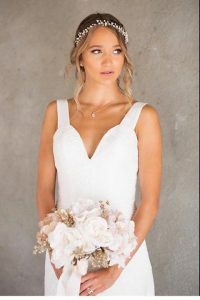 For any bride who has stood in front of a mirror wishing that the straps she was looking at belonged to the bodice she was already in love with and the skirt from three gowns back, Diane D’Angelo is a dream come true. She has the expertise and resources to achieve your wedding vision.